Nickelback in Montreal or Quebec City? Inform me about the next events for Nickelback. Enroll yourself to our priority waiting list for Nickelback to be alerted when new tickets are available. Filling this form doesn't engage you to any purchase. Nickelback are coming back to Montreal on June 29th, 2017 for a concert at the Bell Centre ! Nickelback will be releasing their 9th album, Feed The Machine, on June 9th. So fans will get to hear the new songs from the band, as well as their many hits ! 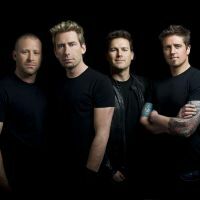 In nearly 20 years, Nickelback sold over 60 million copies of their records, which makes them one of the most popular rock acts of the past decade. Don't miss the return of Nickelback in Montreal, as they stop by the Bell Centre during their Feed The Machine Tour !